Are you hungry? We’ve got something for you! Are you in a desperate need for a new recipe to try at home because you’ve already got bored of your old recipes? We’ve got your back! Listen up! We’re going to learn together (we’re no master chefs, either, but we can find ourselves the greatest recipes there are out there) how to make shakshuka. 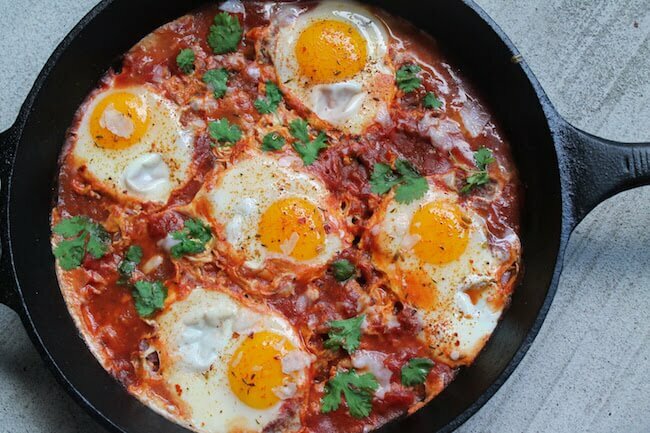 Who invented shakshuka? We’re not really sure. It seems it comes from the cookbook author Yotam Ottolenghi and his bestselling “Jerusalem” and “Plenty” books or, maybe, from the American chefs Michael Solomonov from Philadelphia or Alon Shaya from New Orleans. But, does it matter much? We don’t think so. What does matters is how good this meal really is and how you can make it yourself. We are going to present to you the recipe from Solomonov “Zahav: A World of Israeli Cooking” because the ingredients there are something you happen to have in the kitchen at all times. From Solomon’s book, we make it that Shakshuka comes from Tunisia and is spread across North Africa to the Middle East. “Tomatoes and peppers grow year-round in Israel, and eggs are an inexpensive source of protein. 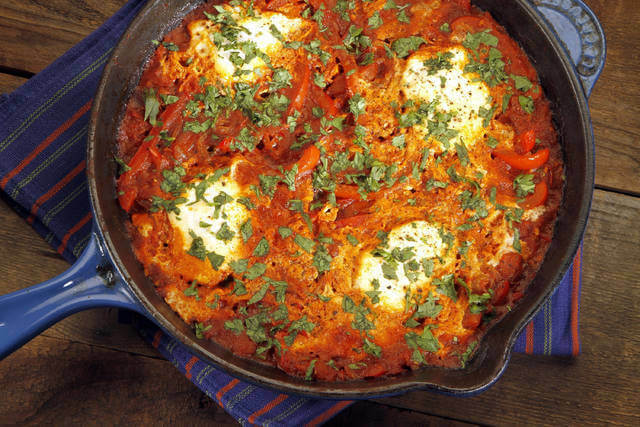 Shakshuka became an economical way to create a nutritious and flavorful meal”, says Solomonov in his book. But, enough talking, let’s get to the cooking. 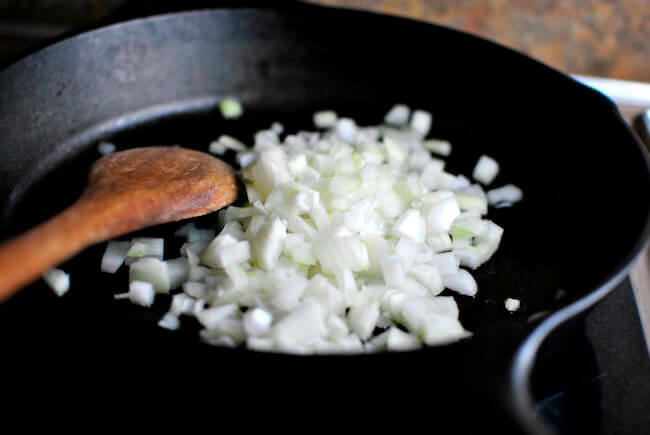 Put 2 tablespoons of olive oil in a large skillet. After it is heated, add onions, bell peppers, garlic, paprika, cumin, coriander and salt. Cook them while stirring occasionally, until the vegetables become soft. This might take about 10 minutes. 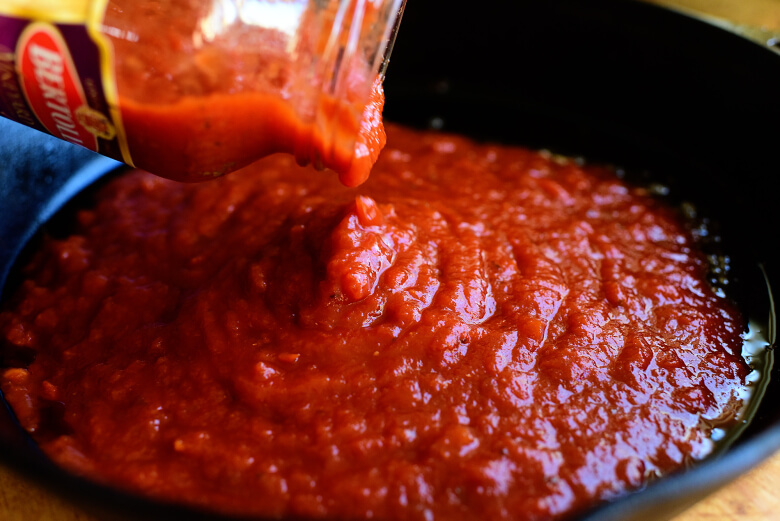 After that, add the crushed tomatoes and sugar and simmer them until they are reduced by one-third. That is 10-12 minutes. Put on the remaining 2 tablespoons olive oil and whisk away. Now, you’ve got to handle the eggs. Crack them in the skillet. Reduce heat, cover the skillet and let them cook until the whites are set, but the yolks remain runny. That is about 5 minutes. Top it all with some serrano chilies and cilantro and you can serve it immediately, right from the pan. Bon appétit!